The so called second capital of Karnataka is becoming uglier by the day. City is in a shambles: there is chaos on the streets with everyone trying to dodge the craters on the road from Belagavi to Khanapur. Each day driving on this road is a nightmare, if one tries to dodge one crater, you fall into another. If your speed is above 20 kms be sure some parts of the vehicle will be damaged. The said road hasnt been repaired for over a year now and no one seems even interested in repairing the same. This is officially NH4A a national highway connecting Belagavi to Panjim. 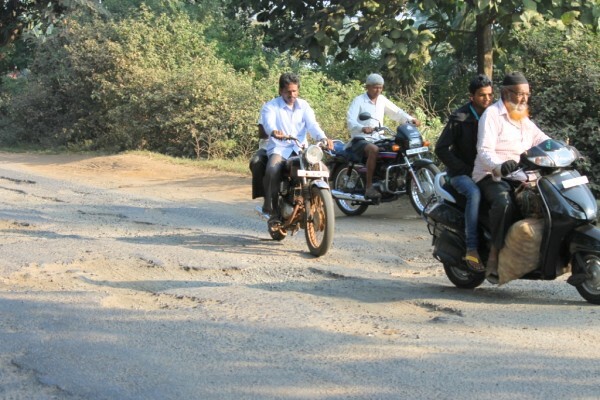 The said road was to be widened but due to permission issues from Forest department the plan was scrapped and with that scrapping no one is interested in repairing the road as well. Most vehicles from Goa take the Chorla route which is smooth and better. Gopal Krishna who sent us this photos said, why are we neglected, why cant the Govt look into this or is it that until a serious accident occurs no one is going to see us. So one must die in this country to tell the world that he too existed. 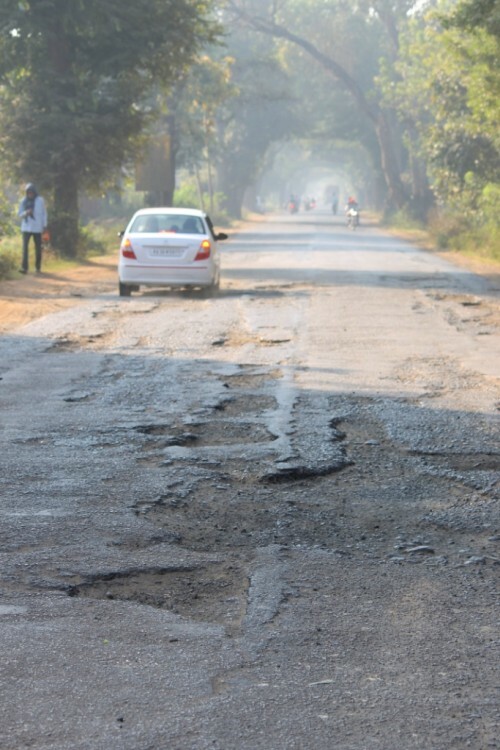 This is one of the oldest highway & is being neglected continuously. It is complete risk & danger to drive through this road. Recently noticed the filling of potholes with mud but no use, which is already vanished before completion of work itself. Everyone can notice that the same highway is being well maintained in Goa region then why can’t be maintained same way in Karnataka region. This is a total negligence of our political representatives, who have been elected by us. It is a hardship to the people living along with this highway to live their daily life. Well let me tell you I have been on that road many a times in recent times and it is even more bad and worse than it appears in the photo. I fill even if someone (common man) dies the road will not be made. If a minister is about to visit khanapur it shall be done over night. Sad state of the administration. The worst roads !! How big are the pit holes…hardly anyone can see it if the raiin water fills up d pit! God knows wen the government will realise it! I am a frequent visitor to Goa through Khanapur, Londa, and Anmod Ghat. The sign that says Welcome to Karnataka at the end of Anmod Ghat should actually be renamed to Hell come to Karnataka. There is absolutely no road. It is basically a terrain. It is sad that these roads are in a bad shape from a long time and causing people extreme difficulty in commuting. I never thought any one would come out with the word “hell” coz i too shared the same view…..